Luxury cruise line Seabourn is expanding the benefits it offers loyal customers. Seabourn Club benefits, which already included a complimentary cruise after sailing 140 days, now will let members choose their rewards from a menu of onboard amenities and discounts. The new onboard benefits will be implemented on all ships on voyages departing on or after June 1. Club members can redeem benefits based on five membership levels, achieved by accruing one Seabourn Club Point for each day sailed. Additional points are awarded for days sailed in premium category suites, for onboard spending and for days traveled on Seabourn Journey overland excursions. Depending on the level they have achieved, club members select the benefits they prefer from a menu that includes such amenities as laundry and pressing, Internet and telephone service, daily newspaper delivery, a Signature Seabourn Club massage in the spa, and savings on shore excursions, luggage shipping and premium wine and spirits purchases. Certain levels also receive signature luggage tags and subscriptions to travel magazines. Club members can select the benefits they prefer and arrange for redemption through Seabourn’s website for future cruises. Upper level members also can use the services of a concierge to assist with onboard arrangements. 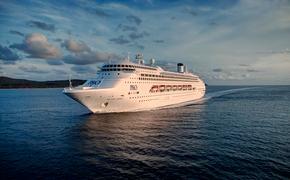 The popular award of a complimentary seven-day cruise after sailing 140 days, or a 14-day cruise after 250 days, remains the richest element of the program. These complimentary cruise awards are based strictly on days actually sailed on board. In addition to the awards, Seabourn Club members receive exclusive offers, additional savings for onboard booking, invitations to events on board, as well as Tiffany & Co. recognition gifts as they achieve loyalty milestones.